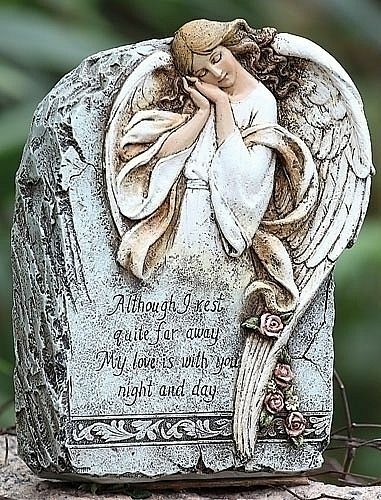 One of our angel gifts for the garden and a memorial is this garden rock highlighting an angel at peace as memories are inscribed in one's heart forever. Resin and stone mix. Beautifully hand painted. Dimensions: 9"H x 6.5" x 3"